My short story, "Flytrap", has just been published in issue #253 of the long-running science fiction magazine, Interzone, and as has been common with newly published stories I'm blogging about the gestation of the story for those who might be interested. Beware, there will be spoilers for those who have yet to read it. 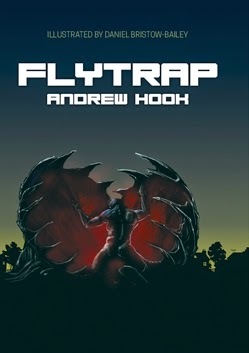 I initially wrote "Flytrap" for the Terra Aphrodite anthology from Whippleshield Books. The remit was for a story that featured the planet Venus, and the devil in me decided a venus flytrap was such an obvious word association idea that I had to write it in order to subvert the connection. Editor Ian Sales declined to take it for the book, but in many ways this was a bonus as I then sent it immediately to Interzone and it was accepted in a matter of days. The story marks my first Interzone appearance and I'm immensely proud and excited to be part of the magazine. Back to the story itself. Other than the title and the tenuous venus connection I initially had little to go on, but I had recently read "Invasion of the Bodysnatchers" by Jack Finney (from which numerous movies have been based, of course), and I was struck by an idea of reversing the concept. Here's that spoiler: what if we were the aliens already on Earth who had successfully integrated with the human race yet had a longing to go back home. What if the actual inhabitants of Earth were little more than vegetables in terms of their intellect and there was a danger of dumbing down the aliens through integration. What if the aliens were absorbing all the ennui of the real human race. What would happen then? From this simple idea the story came to life. Whereas in Finney's book it's the intellect of the human race that needs saving before they become shells of their former selves, in my story the opposite is true: humans are sucking the life and intelligence from the aliens amongst them. It also works as a metaphor about the general dumbing down of society as we become saturated by mind numbing nonsense through a parade of 'celebrity' and 'reality' shows and how our sense of achievement has become determined by how many objects we own. The humans in my story are the empty shells, and my Venusians 'wake up' with the compulsion to escape from this. Interzone is the UK's longest running SF magazine, but with the recent loss of a distributor it might become increasingly difficult to get hold of a copy. Please consider a purchase, not just to read my story, but for the remainder of the content. 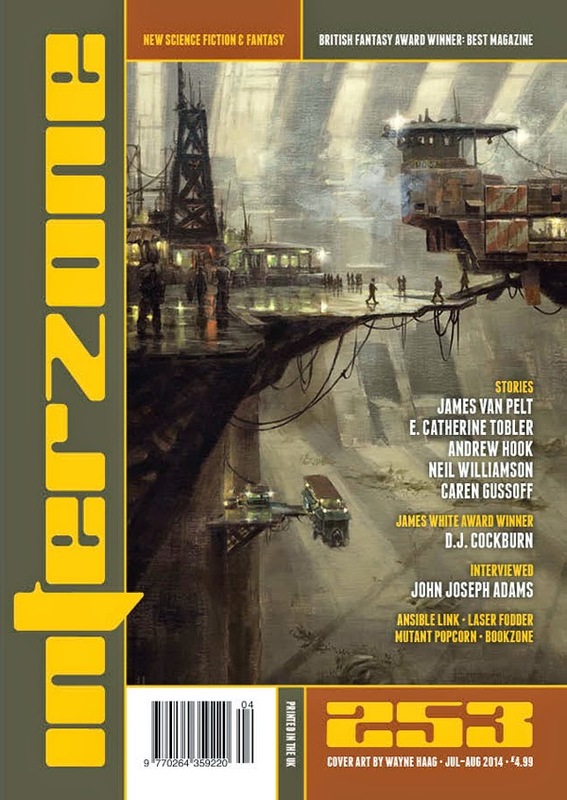 Interzone #253 also contains new stories by James Van Pelt, Neil Williamson, D.J. Cockburn (the 2014 James White Award winner), E. Catherine Tobler, and Caren Gussuff. The cover art is by Wayne Haag, and interior colour illustrations are by Richard Wagner, Martin Hanford, Daniel Bristow-Bailey. All the usual features are present: Ansible Link by David Langford (news and obits); Mutant Popcorn by Nick Lowe (film reviews); Laser Fodder by Tony Lee (DVD/Blu-ray reviews); Book Zone: reviews of many latest releases plus an interview with John Joseph Adams and Jonathan McCalmont's Future Interrupted column. Finally, as usual I wrote this story listening to one CD on repeat. In this case it was "Too Much Information" by the wonderfully lyrical Maximo Park.